NIA — Hon. 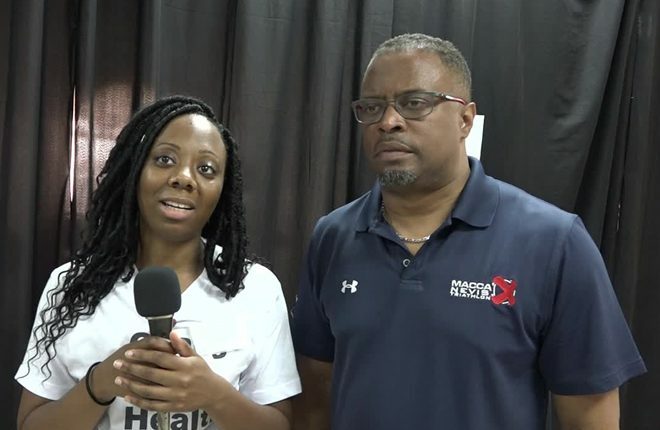 Mark Brantley, Deputy Premier of Nevis and Minister of Health in the Nevis Island Administration (NIA) expressed gratitude to Kechelsa Rawlins, Founder of Barrels For Change Inc., on behalf of the government and people of Nevis, for staging a health fair in partnership with the ministry. The event was held at the St. Paul’s Anglican Church Hall on July 28, 2017. 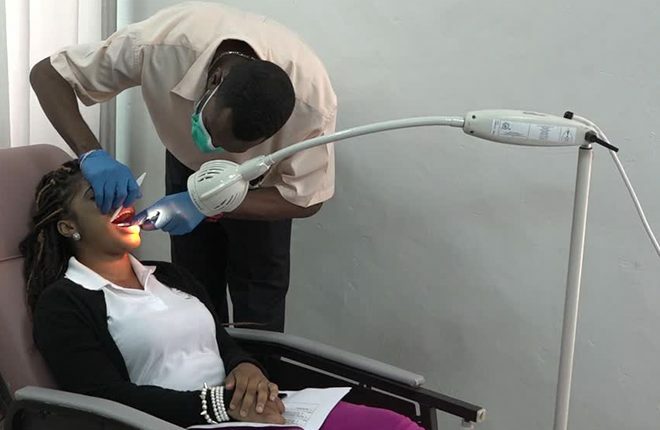 The Health Minister, was at the time welcoming Ms. Rawlins to Nevis when she visited him at at his Pinney’s Estate Office one day before the event. He said he was hopeful that the new partnership with the Ministry would become a lasting one. 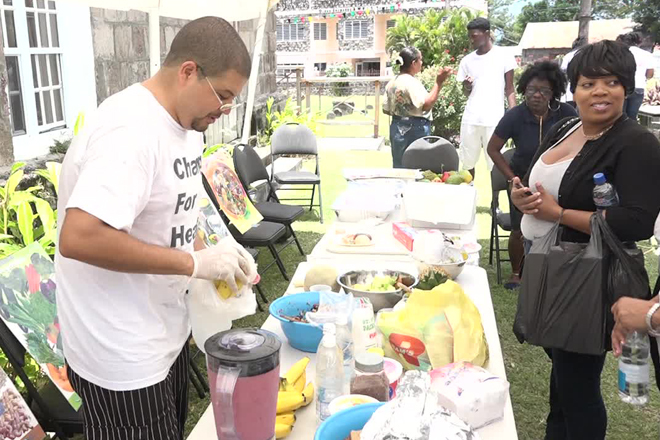 “I want to thank, on behalf of the government and people of Nevis, Miss Rawlins for taking this initiative and for giving back in such a tangible way to the island of her parents and grandparents…We look forward for a continued involvement with you, a continued partnership with you on the island of Nevis. “Certainly, all of us are trying to achieve the same thing which is better health care. More affordable health care and more complete health care for the people of Nevis,” he said. Mr. Brantley, noted that prevention and health education are very important and the Ministry of Health continues to remind the people of Nevis of the importance of knowing their health status and taking charge of it. In response, Ms. Rawlins assured that her organisation’s goal is aligned with that of the Ministry of Health on Nevis. “We are big on preventative measures. We are big on educating the population so that people are aware of their status and also aware of the resources that are available to them. “We want to collaborate with the health institution here, to see how we can make advancements in the health care here and provide better quality for the people here. So we have a common goal and I look forward to working with you,” she said. 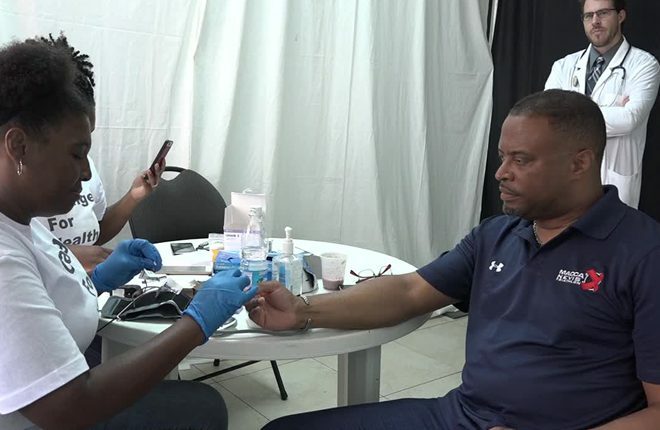 The fair which opened from 8 a.m. to 4 p.m. offered free health and dental screenings, free HIV, Hepatitis B and C and Syphilis testing, Diabetes and Hypertension screening, information on healthy lifestyles and refreshments including smoothies and fresh fruits. Ms. Rawlins was born in the United States of America but her parents and grandparents are from Nevis. Her group, Barrels for Change, is a non-profit organisation. Its mission is to help bring about an end to the health disparities that currently exist. Hence the mission to Nevis.